Accessibility is a key in both movie making and in games and I believe that Avatar embodies the “simple but deep” development philosophy. This combined with cutting edge visuals and spectacle is where the film’s greatness comes from. I have heard a few people bash the script as being incredibly simple and I have also heard comments about the moving being an extremely “left” political message. For me as a viewer I think there is some truth to these comments, Avatar should not receive and award for writing and I do think it has many left wing things to say but I believe it tells a much more potent message than some people may think. The message is so blatant and simple that I don’t think many reviewers actually see it. The thesis of the film is “I see you” and I want to take a minute to describe how that message is told in a way that includes everyone but is ultimately and expression about Art rather than society. To make and engaging story you have to create characters on screen that people can identify with and then you have to tell a story where those people progress and change throughout that story in meaningful ways. I think that one of the cheapest ways to make people connect is by making fun of people that are dislike them. I personally think Avatar sells its experience by using stereotypical caricatures to make fun of and include everyone all at the same time (no group other than the Na’vi miss having stereotypical digs). People that are military supporters get the initial buy in for the marine grunt (read protagonist) on the ground and a get things done attitude. They get to make fun of the science geeks and show that a Jarhead can come in and learn everything and blast some people up, get the girl and ultimately save the day. This is a very satisfying film on this level and is probably the best executed and the one that took the most on screen time to develop. I think this story is where the majority of ticket sales are actually from. Corporations and economics do not make good entertainment. So this movie easily targeted something everyone has understandably had a run in with. Phrases like unobtanium and slaughtering people to get at resources is a very powerful message. Scientists are one of the most interesting commentaries made by Cameron. 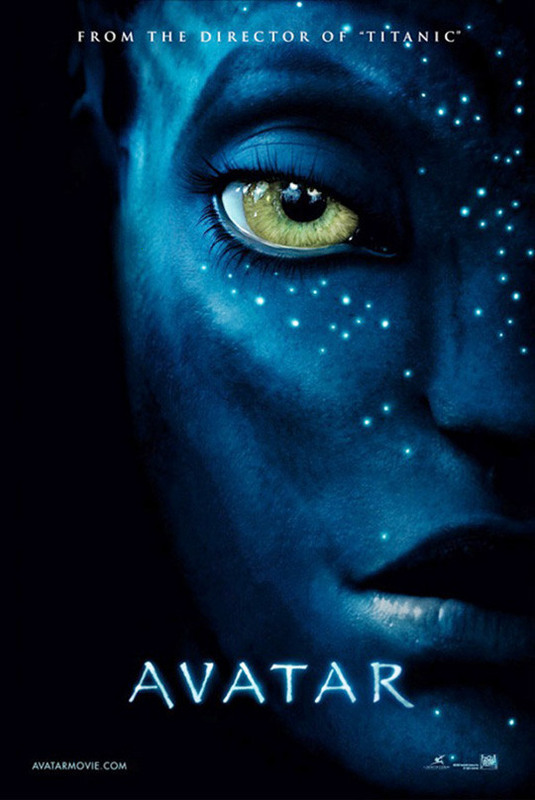 It would be easy to make this movie a pro-science movie but instead I think Cameron even took a dig at scientists by making them unable to see the Na’vi for what they really are, due to their preconceived notions. The jealousy they have for Jake is sort of “last one picked for dodge ball funny”. I think this example is where Cameron takes his biggest step in layering the meaning into the picture. I read this, even on my first viewing, as a message to movie critics and viewers everywhere to really stop and see and occasionally admit that you are prejudiced and biased at times and cannot see. After making fun of so many groups, the only core message I can really in the movie is purely artistic and a bit of an ego trip. Come into my created world and revel in the art. I say making fun of other groups and ego trip fairly lightly as well. I loved this movie and I think it used simple techniques to establish character. The battle scenes and heroes journey stand on their own without comment! Yes there are political messages included in this artistic film but at the end of the day the artistic brilliance created by a masterpiece created by a huge collaboration of people it what will stand the test of time. I think that at the end of the day, this somewhat simple plot tells the tale of artistic achievement and fulfillment in the best way I have seen to date. To me, that is where the greatness of the film is. Does art include commentary on social and political issues? Yes, but even more it is a window into artists worlds and imagination rendered in a way that has never been more real. Avatar is the Star Wars of this generation and I am excited to see the inspiration this work of art drives in years to come. Hopefully “I see you” James Cameron and what your collaborators brought to the screen. This entry was posted in Uncategorized and tagged avatar, igamemaker. Bookmark the permalink.